Better feed. Better water. Better fish. In 1982, a marine biologist with the New Brunswick Department of Natural Resources saw a pressing need for safe, nutritious and convenient fish food to support the growing aquaculture industry. That’s when Lee Corey established Corey Nutrition Company, and put nutritional integrity at the forefront of his business. Now, over 35 years later, Corey Nutrition is still Atlantic Canada's premiere family-owned and operated source for optimimal nutrition in aquafeed. Every Corey Aquafeeds product stems from our relentless pursuit of quality and innovation. We offer extruded pellets in a variety of nutritionally complete and balanced formulations, which help you create and maintain conditions for your fish to thrive. 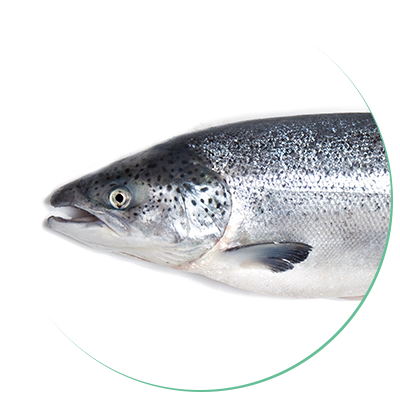 Our fish-based oils and proteins are derived from sustainable sources. We test all ingredients for quality and integrity before we include them in any of our feeds. Continual monitoring throughout the manufacturing process, as well as post-production testing, ensures you receive a product that meets your expectations for a high quality feed. Our nutrient infusion process allows greater retention of lipids inside each pellet with reduced leaching. You want important nutrients in your fish, not in their water. Click on a button below for more information on the feeds we produce. Get in touch to start an order today. Our team will work with you step by step to make sure you have the right product for your needs. From conception to delivery, Corey Aquafeeds has the experience to feed your fish right.